Maptun Performance is proud to present our brand new in-house developed intercooler series. 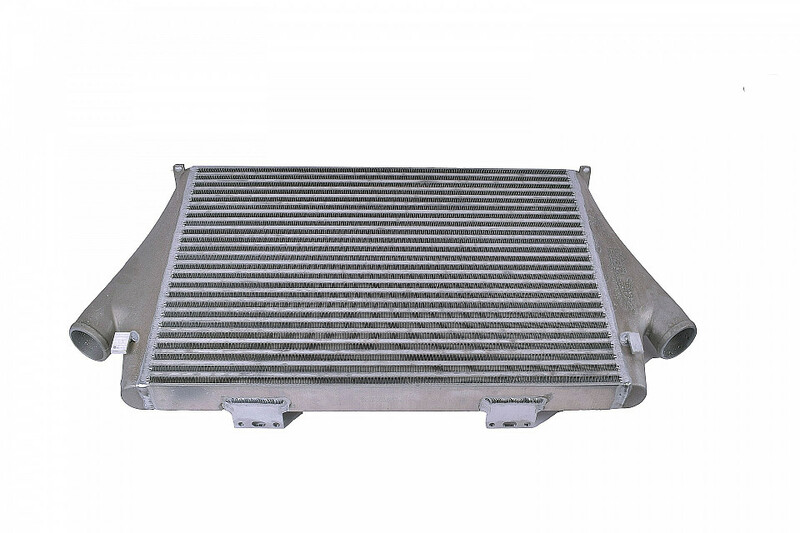 From the beginning we set out to design the XT-Series Intercoolers with two goals in mind, create an intercooler to provide the engine a stable and cool flow of air even under extreme conditions with minimum pressure drop, and make it affordable. 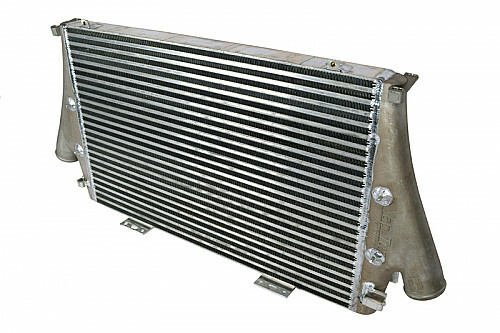 The XT-Series Intercoolers are made entirely of aluminum with molded end caps that are TIG welded to the cell package, making the intercooler extremely reliable and durable. 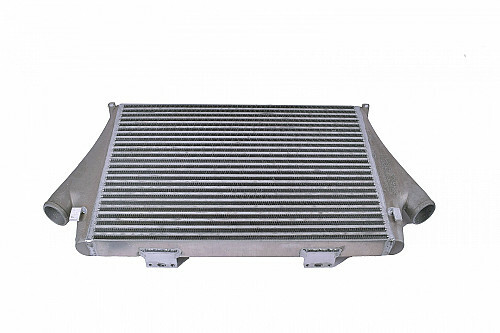 No other coating, or paint is applied to the intercooler in order to get the best possible contact with the surrounding air, and also to lead heat away as efficiently as possible. XT-Series cell pack is thoroughly tested, and after several of tests we decided to go on a “Bar and Plate” package, this provide maximum cooling and minimum pressure drop. We made the XT-Series intercoolers “bolt on” making it possible to replace your stock intercooler without modifications. Also included are attachments for both the water cooler and AC condenser, if required. Please note that due to the cars nature and because this is carefully hand built intercoolers, small adjustments might be necessary. In the graph amongst the product pictures you can see a comparison with a Saab original intercooler mounted and then an aluminum intercooler of another brand assembled and finally our XT-series Intercooler. The test below was run in an 18-second sweep with controlled outside air temperature, this shows how the difference in temperature increases that occur among the different brands. This test is the most realistic test to do in a controlled environment. Intercooler arrived well packaged. Thicker than standard but slotted in with no problems. All attachments for AC and rad matched perfectly. As an intercooler acts primarily as a heat sink, all this aluminium should work a treat.